For the 11th century invention of ceramic movable type printing by Bi Sheng (990–1051), it was enhanced by the wooden movable type of Wang Zhen in 1298 and the bronze metal movable type of Hua Sui in 1490. Among the engineering accomplishments of early China were matches, dry docks, the double-action piston pump, cast iron, the iron plough, the horse collar, the multi-tube seed drill, the wheelbarrow, the suspension bridge, the parachute, natural gas as fuel, the raised-relief map, the propeller, the sluice gate, and the pound lock. The Tang dynasty (AD 618–907) and Song dynasty (AD 960–1279) in particular were periods of great innovation. Mongol rule under the Yuan dynasty saw technological advances from an economic perspective, with the first mass production of paper banknotes by Kublai Khan in the 13th century. Numerous contacts between Europe and the Mongols occurred in the 13th century, particularly through the unstable Franco-Mongol alliance. Chinese corps, expert in siege warfare, formed an integral part of the Mongol armies campaigning in the West. In 1259–1260 military alliance of the Franks knights of the ruler of Antioch, Bohemond VI and his father-in-law Hetoum I with the Mongols under Hulagu, in which they fought together for the conquests of Muslim Syria, taking together the city of Aleppo, and later Damascus. William of Rubruck, an ambassador to the Mongols in 1254–1255, a personal friend of Roger Bacon, is also often designated as a possible intermediary in the transmission of gunpowder know-how between the East and the West. The compass is often said to have been introduced by the Master of the Knights Templar Pierre de Montaigu between 1219 and 1223, from one of his travels to visit the Mongols in Persia. Despite this, Chinese thinkers of the Middle Ages proposed some hypotheses which are in accordance with modern principles of science. Yang Hui provided theoretical proof for the proposition that the complements of the parallelograms which are about the diameter of any given parallelogram are equal to one another. Sun Sikong (1015–1076) proposed the idea that rainbows were the result of the contact between sunlight and moisture in the air, while Shen Kuo (1031–1095) expanded upon this with description of atmospheric refraction. Shen believed that rays of sunlight refracted before reaching the surface of the earth, hence the appearance of the observed sun from earth did not match its exact location. Coinciding with the astronomical work of his colleague Wei Pu, Shen and Wei realized that the old calculation technique for the mean sun was inaccurate compared to the apparent sun, since the latter was ahead of it in the accelerated phase of motion, and behind it in the retarded phase. Shen supported and expanded upon beliefs earlier proposed by Han dynasty (202 BCE–220 CE) scholars such as Jing Fang (78–37 BCE) and Zhang Heng (78–139 CE) that lunar eclipse occurs when the earth obstructs the sunlight traveling towards the moon, a solar eclipse is the moon's obstruction of sunlight reaching earth, the moon is spherical like a ball and not flat like a disc, and moonlight is merely sunlight reflected from the moon's surface. Shen also explained that the observance of a full moon occurred when the sun's light was slanting at a certain degree and that crescent phases of the moon proved that the moon was spherical, using a metaphor of observing different angles of a silver ball with white powder thrown onto one side. Although the Chinese accepted the idea of spherical-shaped heavenly bodies, the concept of a spherical earth (as opposed to a flat earth) was not accepted in Chinese thought until the works of Italian Jesuit Matteo Ricci (1552–1610) and Chinese astronomer Xu Guangqi (1562–1633) in the early 17th century. 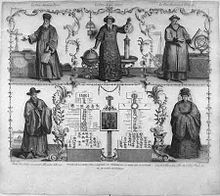 Conversely, the Jesuits were very active in transmitting Chinese knowledge to Europe. Confucius's works were translated into European languages through the agency of Jesuit scholars stationed in China. Matteo Ricci started to report on the thoughts of Confucius, and Father Prospero Intorcetta published the life and works of Confucius into Latin in 1687. It is thought that such works had considerable importance on European thinkers of the period, particularly among the Deists and other philosophical groups of the Enlightenment who were interested by the integration of the system of morality of Confucius into Christianity. The Republic of China (1912–49) saw the introduction in earnest of modern science to China. Large numbers of Chinese students studied abroad in Japan and in Europe and the US. Many returned to help teach and to found numerous schools and universities. Among them were numerous outstanding figures, including Cai Yuanpei, Hu Shi, Weng Wenhao, Ding Wenjiang, Fu Ssu-nien, and many others. As a result, there was a tremendous growth of modern science in China. As the Communist Party took over China's mainland in 1949, some of these Chinese scientists and institutions moved to Taiwan. The central science academy, Academia Sinica, also moved there. ^ a b Agustín Udías, p. 53. ^ Needham, Robinson & Huang 2004, p. 218. ^ a b Needham, Robinson & Huang 2004, p. 10. ^ Needham 1956 p. 185. ^ Lu Chia (196 BCE, 前漢書 (Chi'en Han Shu) (History of the former Han dynasty) ch. 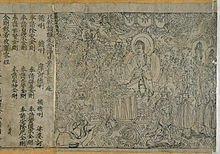 43, p. 6b and Tung Chien Kang Mu (Essential Mirror of Universal History) ch. 3, p. 46b) as referenced in Needham, Robinson & Huang 2004, p. 10. ^ F. Espenak. "Solar Eclipses of Historical Interest". Archived from the original on 2008-03-09. ^ F.R. Stephenson (1997). Historical Eclipses and Earth's Rotation. Cambridge University Press. ^ a b c english@peopledaily.com.cn. "People's Daily Online -- China resurrects world's earliest seismograph". english.people.com.cn. ^ "A lodestone attracts a needle." Li Shu-hua, p. 176. ^ Kelly, p. 22. "Around 1240 the Arabs acquired knowledge of saltpeter (“Chinese snow”) from the East, perhaps through India. They knew of gunpowder soon afterward. They also learned about fireworks (“Chinese flowers”) and rockets (“Chinese arrows”)." ^ a b c d Turnbull, p. 43. ^ Mayall N.U. (1939), The Crab Nebula, a Probable Supernova, Astronomical Society of the Pacific Leaflets, v. 3, p. 145. ^ a b Julius Thomas Fraser and Francis C. Haber, Time, Science, and Society in China and the West (Amherst: University of Massachusetts Press, ISBN 0-87023-495-1, 1986), pp. 227. ^ Patricia B. Ebrey, The Cambridge Illustrated History of China (Cambridge: Cambridge University Press, 1999, ISBN 0-521-66991-X), pp. 148. ^ a b Rudolph, R.C. "Preliminary Notes on Sung Archaeology," The Journal of Asian Studies (Volume 22, Number 2, 1963): 169–177. ^ Joseph Needham, Science and Civilization in China: Volume 3, Mathematics and the Sciences of the Heavens and the Earth (Taipei: Caves Books, Ltd., 1986) pp. 603–604, 618. ^ Nathan Sivin, Science in Ancient China: Researches and Reflections. (Brookfield, Vermont: VARIORUM, Ashgate Publishing, 1995), Chapter III, pp. 23. ^ a b Alan Kam-leung Chan, Gregory K. Clancey, and Hui-Chieh Loy, Historical Perspectives on East Asian Science, Technology and Medicine (Singapore: Singapore University Press, 2002, ISBN 9971-69-259-7) pp. 15. ^ Joseph Needham, Science and Civilization in China: Volume 3, Mathematics and the Sciences of the Heavens and the Earth (Taipei: Caves Books, Ltd., 1986) pp. 618. ^ Vesel, Živa (15 May 2004). "" Islamic and Chinese Astronomy under the Mongols: a Little-Known Case of Transmission ", in : Yvonne Dold-Samplonius, Joseph W. Dauben, Menso Folkerts & Benno van Dalen, éds., From China to Paris. 2000 Years Transmission of Mathematical Ideas. Series: Boethius 46, Stuttgart (Steiner), 2002, pp. 327–356". Abstracta Iranica. Revue Bibliographique Pour le Domaine Irano-aryen (Volume 25) – via abstractairanica.revues.org. ^ "Home" – via www.nybooks.com. ^ Toby E. Huff, The Rise of Early Modern Science: Islam, China, and the West (Cambridge: Cambridge University Press, 2003, ISBN 0-521-52994-8) pp 303. ^ a b Joseph Needham, Science and Civilization in China: Volume 3, Mathematics and the Sciences of the Heavens and the Earth (Taipei: Caves Books, Ltd., 1986) pp. 104. ^ Nathan Sivin, Science in Ancient China: Researches and Reflections. (Brookfield, Vermont: VARIORUM, Ashgate Publishing, 1995), Chapter III, pp. 24. ^ Yung Sik Kim, The Natural Philosophy of Chu Hsi (1130–1200) (DIANE Publishing, 2002, ISBN 0-87169-235-X), pp. 171. ^ a b Paul Dong, China's Major Mysteries: Paranormal Phenomena and the Unexplained in the People's Republic (San Francisco: China Books and Periodicals, Inc., 2000, ISBN 0-8351-2676-5), pp. 72. ^ Nathan Sivin, Science in Ancient China: Researches and Reflections. (Brookfield, Vermont: VARIORUM, Ashgate Publishing, 1995), Chapter III, pp. 16–19. ^ Joseph Needham, Science and Civilization in China: Volume 3, Mathematics and the Sciences of the Heavens and the Earth (Taipei: Caves Books, Ltd., 1986) pp. 227 & 414–416. ^ "Joseph Needham, Science and Civilization in China: Volume 3, Mathematics and the Sciences of the Heavens and the Earth (Taipei: Caves Books, Ltd., 1986) pp. 415–416. ^ Paul Dong, China's Major Mysteries: Paranormal Phenomena and the Unexplained in the People's Republic (San Francisco: China Books and Periodicals, Inc., 2000, ISBN 0-8351-2676-5), pp. 71–72. ^ Dainian Fan and Robert Sonné Cohen, Chinese Studies in the History and Philosophy of Science and Technology (Dordrecht: Kluwer Academic Publishers, 1996, ISBN 0-7923-3463-9), pp. 431–432. ^ Charles Benn, China's Golden Age: Everyday Life in the Tang Dynasty. Oxford University Press, 2002, ISBN 0-19-517665-0), pp. 235. ^ Wu Jing-nuan, An Illustrated Chinese Materia Medica. (New York: Oxford University Press, 2005), pp. 5. ^ Joseph Needham, Science and Civilization in China: Volume 3, Mathematics and the Sciences of the Heavens and the Earth (Taipei: Caves Books, Ltd., 1986) pp. 648–649. ^ Joseph Needham, Science and Civilization in China: Volume 6, Biology and Biological Technology, Part 1, Botany. (Taipei: Caves Books Ltd., 1986), pp. 174–175. ^ Schafer, Edward H. "Orpiment and Realgar in Chinese Technology and Tradition," Journal of the American Oriental Society (Volume 75, Number 2, 1955): 73–89. ^ West, Stephen H. "Cilia, Scale and Bristle: The Consumption of Fish and Shellfish in The Eastern Capital of The Northern Song," Harvard Journal of Asiatic Studies (Volume 47, Number 2, 1987): 595–634. ^ Joseph Needham, Science and Civilization in China: Volume 4, Physics and Physical Technology, Part 2: Mechanical Engineering (Taipei: Caves Books, Ltd. 1986) pp. 111 & 165 & 445–448. ^ Liu, Heping. ""The Water Mill" and Northern Song Imperial Patronage of Art, Commerce, and Science," The Art Bulletin (Volume 84, Number 4, 2002): 566–595. ^ Tony Fry, The Architectural Theory Review: Archineering in Chinatime (Sydney: University of Sydney, 2001), pp. 10–11. ^ Derk Bodde, Chinese Thought, Society, and Science (Honolulu: University of Hawaii Press, 1991), pp. 140. ^ Joseph Needham, Science and Civilization in China: Volume 4, Physics and Physical Technology, Part 2: Mechanical Engineering (Taipei: Caves Books, Ltd. 1986), pp. 30. ^ W. Scott Morton and Charlton M. Lewis, China: Its History and Culture. (New York: McGraw-Hill, Inc., 2005), pp. 70. ^ Joseph Needham, Science and Civilization in China: Volume 4, Physics and Physical Technology, Part 2: Mechanical Engineering (Taipei: Caves Books, Ltd. 1986) pp. 470–475. ^ Joseph Needham, Science and Civilization in China: Volume 4, Physics and Physical Technology, Part 2: Mechanical Engineering (Taipei: Caves Books, Ltd. 1986), pp. 469–471. ^ Sal Restivo, Mathematics in Society and History: Sociological Inquiries (Dordrecht: Kluwer Academic Publishers, 1992, ISBN 1-4020-0039-1), pp 32. ^ Nathan Sivin, Science in Ancient China: Researches and Reflections. (Brookfield, Vermont: VARIORUM, Ashgate Publishing, 1995), Chapter III, pp. 21, 27, & 34. ^ Joseph Needham, Science and Civilization in China: Volume 4, Physics and Physical Technology, Part 1, Physics (Taipei: Caves Books Ltd., 1986), pp. 98 & 252. ^ Hsu, Mei-ling. "Chinese Marine Cartography: Sea Charts of Pre-Modern China," Imago Mundi (Volume 40, 1988): 96–112. ^ Jacques Gernet, A History of Chinese Civilization (Cambridge: Cambridge University Press, 1996, ISBN 0-521-49781-7), pp. 335. ^ Joseph Needham, Science and Civilization in China: Volume 5, Chemistry and Chemical Technology, Part 1: Paper and Printing (Taipei: Caves Books, Ltd, 1986), pp 201. ^ Hartwell, Robert. "Markets, Technology, and the Structure of Enterprise in the Development of the Eleventh-Century Chinese Iron and Steel Industry," The Journal of Economic History (Volume 26, Number 1, 1966): 29–58. ^ Nathan Sivin, Science in Ancient China: Researches and Reflections. (Brookfield, Vermont: VARIORUM, Ashgate Publishing, 1995), Chapter III, pp. 22. ^ Peter Mohn, Magnetism in the Solid State: An Introduction (New York: Springer-Verlag Inc., 2003, ISBN 3-540-43183-7), pp. 1. ^ a b Wagner, Donald B. "The Administration of the Iron Industry in Eleventh-Century China," Journal of the Economic and Social History of the Orient (Volume 44 2001): 175–197. ^ a b Patricia B. Ebrey, Anne Walthall, and James B. Palais, East Asia: A Cultural, Social, and Political History (Boston: Houghton Mifflin Company, 2006, ISBN 0-618-13384-4), pp. 158. ^ Joseph Needham, Science and Civilization in China: Volume 4, Physics and Physical Technology, Part 2, Mechanical Engineering (Taipei: Caves Books, Ltd., 1986), pp. 376. ^ Joseph Needham, Science and Civilization in China: Volume 3, Mathematics and the Sciences of the Heavens and the Earth (Taipei: Caves Books, Ltd., 1986) pp. 43. ^ Joseph Needham, Science and Civilization in China: Volume 3, Mathematics and the Sciences of the Heavens and the Earth (Taipei: Caves Books, Ltd., 1986) pp. 62–63. ^ Needham, Science and Civilization in China: Volume 3, Mathematics and the Sciences of the Heavens and the Earth (Taipei: Caves Books, Ltd., 1986) pp. 134–137. ^ Joseph Needham, Science and Civilization in China: Volume 3, Mathematics and the Sciences of the Heavens and the Earth (Taipei: Caves Books, Ltd., 1986) pp. 46. ^ a b c John King Fairbank and Merle Goldman, China: A New History (Cambridge: MA; London: The Belknap Press of Harvard University Press, 2nd ed., 2006, ISBN 0-674-01828-1), pp. 81. ^ Nathan Sivin, "Taoism and Science" in Medicine, Philosophy and Religion in Ancient China Archived 2008-06-23 at the Wayback Machine (Variorum, 1995). Retrieved on 2008-08-13. ^ Joseph Needham, Science and Civilization in China: Volume 5, Chemistry and Chemical Technology, Part 4, Spagyrical Discovery and Invention: Apparatus, Theories and Gifts (Taipei: Caves Books Ltd., 1986), pp. 452. ^ Joseph Needham, Science and Civilization in China: Volume 5, Chemistry and Chemical Technology, Part 7, Military Technology; the Gunpowder Epic (Taipei: Caves Books, Ltd., 1986), pp. 220–262. ^ Joseph Needham, Science and Civilization in China: Volume 5, Chemistry and Chemical Technology, Part 7, Military Technology; the Gunpowder Epic (Taipei: Caves Books, Ltd., 1986), pp. 70–73 & 117–124. ^ Joseph Needham, Science and Civilization in China: Volume 5, Chemistry and Chemical Technology, Part 7, Military Technology; the Gunpowder Epic (Taipei: Caves Books, Ltd., 1986), pp. 173–174, 192, 290, & 477. ^ Alfred W. Crosby, Throwing Fire: Projectile Technology Through History (Cambridge: Cambridge University Press, 2002, ISBN 0-521-79158-8), pp. 100–103. ^ Joseph Needham, Science and Civilization in China: Volume 5, Chemistry and Chemical Technology, Part 7, Military Technology; the Gunpowder Epic (Taipei: Caves Books, Ltd., 1986), pp. 203–205, 264, 508. ^ John Norris, Early Gunpowder Artillery: 1300–1600 (Marlborough: The Crowood Press, Ltd., 2003), pp. 11. ^ "Windows into China", John Parker, p. 25. ^ Huanyin, Yang (1993). "Confucius (K'ung Tzu)" (PDF). Prospects: The Quarterly Review of Comparative Education. XXIII (1/2): 211–19. doi:10.1007/bf02195036. ^ Needham & Wang 1954, p. 581. ^ "pseudoscience - The Skeptic's Dictionary - Skepdic.com". skepdic.com. ^ James M. Blaut, "Environmentalism and Eurocentrism," Geographical Review 89.3 (1999): 391–408. ^ a b Tollefson, Jeff (2018-01-18). "China declared world's largest producer of scientific articles". Bibcode:2018Natur.553..390T. doi:10.1038/d41586-018-00927-4. Retrieved 2018-01-26. Kelly, Jack (2004). Gunpowder: Alchemy, Bombards, & Pyrotechnics: The History of the Explosive that Changed the World. Basic Books. ISBN 978-0-465-03718-6. Liang, Jieming (2006). Chinese Siege Warfare: Mechanical Artillery & Siege Weapons of Antiquity. Singapore, Republic of Singapore: Leong Kit Meng. ISBN 978-981-05-5380-7. Needham, Joseph (1956). Science and Civilisation in China. 2 History of Scientific Thought. p. 697. ISBN 978-0-521-05800-1. Rothbard, Murray N. (2006). Economic thought before Adam Smith: An Austrian Perspective on the History of Economic Thought. Cheltnam, UK: Edward Elgar. ISBN 978-0-945466-48-2. This page was last edited on 4 March 2019, at 14:10 (UTC).